Humans have lived on earth about 200,000 years. Never, ever, ever, have they lived as equals. Their always have been the haves, and the have-nots. With over 7 billion people on the planet today, the gap between the haves and have nots, has never been higher. As the world’s population increases, more people are living in poverty, fewer children are being educated, women face greater discrimination, and health care is lacking for half of the world’s population. In September 2000, 189 nations and the world’s leading international organizations – led by the United Nations decided enough was enough, and started a movement to improve the lives of everyone on the planet. 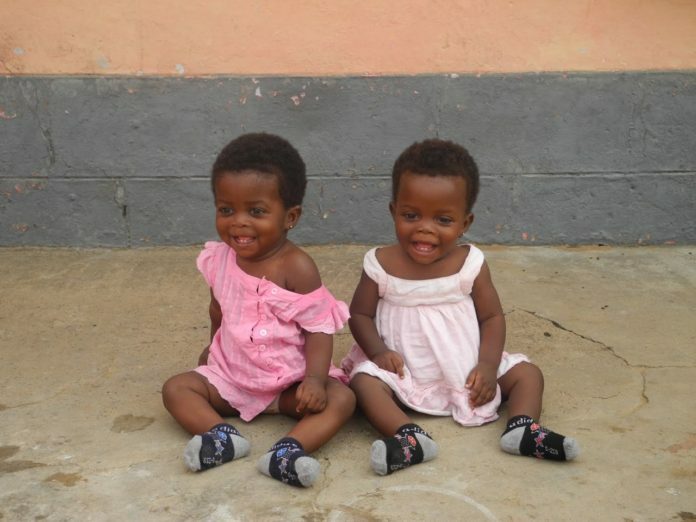 The movement was called the Millennium Development Goals (MDG). The plan was to target 21 specific areas and 60 indicators form a blueprint agreed to by all the world’s countries and major world’s leading development institutions, to meet the needs of the world’s poorest population. The target areas and indicators are listed here. From the beginning, the success of the Millennium Development Goals Movement depended how well they could communicate. Communicate each goal’s Timeline (Deadline) and the Responsibilities (Who was going to do what) on each task. After 5 years, it was clear there would be problems. The MDGs organizers know trying to reach their goals in Africa would be difficult, because of poverty levels, lack of communication resources, and unstable governments. However, they did not realize how long it would take. After 2010, it became obvious that not all 8 goals could be reached. The four main obstacles were: individual Government commitments; the Poor infrastructure in poorer countries; and Partners support in pursuing the goals (from the Private Sector and Civil organizations). 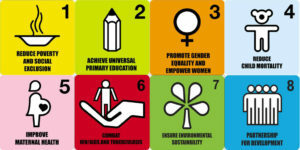 In 2015, none of the MDG’s overall eight goals were accomplished. Some countries like China, India and Brazil had made some progress in achieving their goals. Other countries, especially from Sub-Saharan Africa were years away from achieving any of theirs. Instead of abandoning the Movement, the United Nations and their partners decided to recommit for another 15 years. By launching a more ambitious attempt to achieve their goals, with a post-2015 Development Agenda. MDG 1: The number of people living in extreme poverty (living on less than $1.25 a day), was cut by over 1 billion people (from 1.9 billion to 836 million). MDG 2: Primary school enrolment rates increased from 83% in 2000 to 91%. MDG 3: In Developing Countries, nearly two-thirds, reached gender parity in primary education. MDG 5: The global maternal mortality ratio dropped by nearly half. MDG 6: The number of new HIV infections fell by around 40% between 2000 and 2013. MDG 7: 2.6 billion people have gained access to improved drinking water since 1990. MDG 8: Between 2000 and 2014, overseas development assistance from rich nations to developing countries increased by 66% in real terms, and in 2013 reached the record figure of $134.8 billion. As mentioned above, the United Nations and their partners are more determined to achieve their goals, and end poverty and the negative effects it causes. Let us hope, they can build on their successes, and strengthen their partnerships. Here is a copy of the 2015 final report, the progress chart, and the breakdown country by country. Next week we will review The Sustainable Development Goals (SDGs) Movement. What it is, what are its goals, and what the chances it will work are.